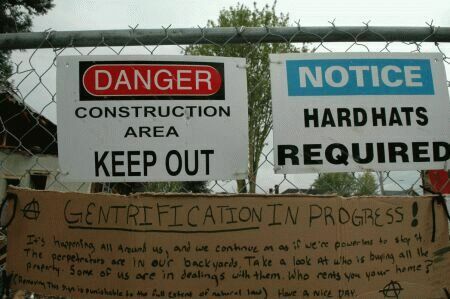 Gentrification. Often considered a third-rail topic, gentrification has become so controversial that the mere mention of it can elicit strong and passionate debate. Proponents of urban development (not calling it gentrification) say it improves neighborhood because it improves the physical environment of a neighborhood and quality of life for residents, new and old. Critics, however, see gentrification as a tool by wealthy developers and urban professionals to displace an undesirable bloc of the population (read: minorities). But in all the kerfuffle of debate, many critics of gentrification seem unwilling to look at the real causes of the problems they see – the displacement of the poor. Studies are showing that gentrification doesn’t actually do all that critics have long accused it of. By not focusing on the root cause of the poor’s displacement, gentrification critics are just as, if not more so, detrimental to the livelihoods of the very bloc they seek to protect.